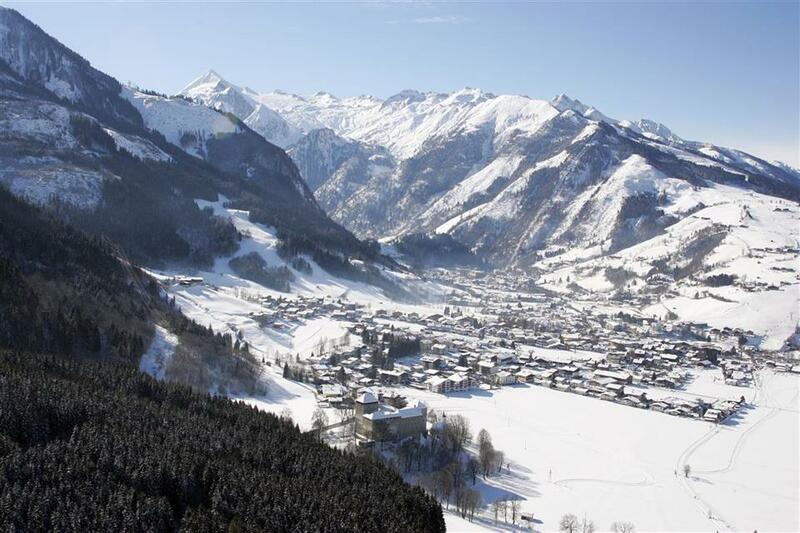 The Zell am See - Kaprun region is one of the leading skiing destinations of Austria. Unique, fantastic ski slopes and grand lakes ensure that the tourist season lasts almost all year. 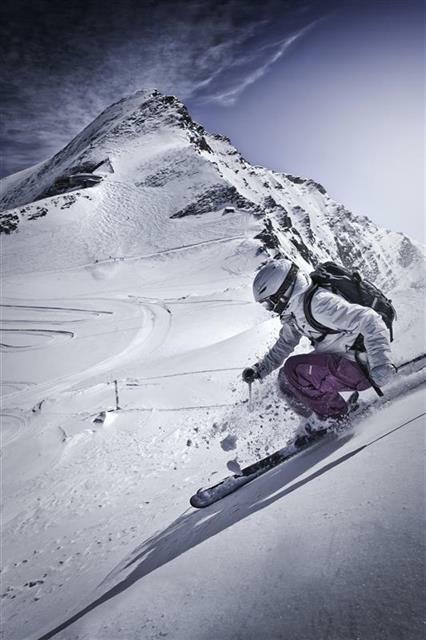 The Kitzsteinhorn glacier enables skiing in Kaprun for 10 months of the year, from September to June. 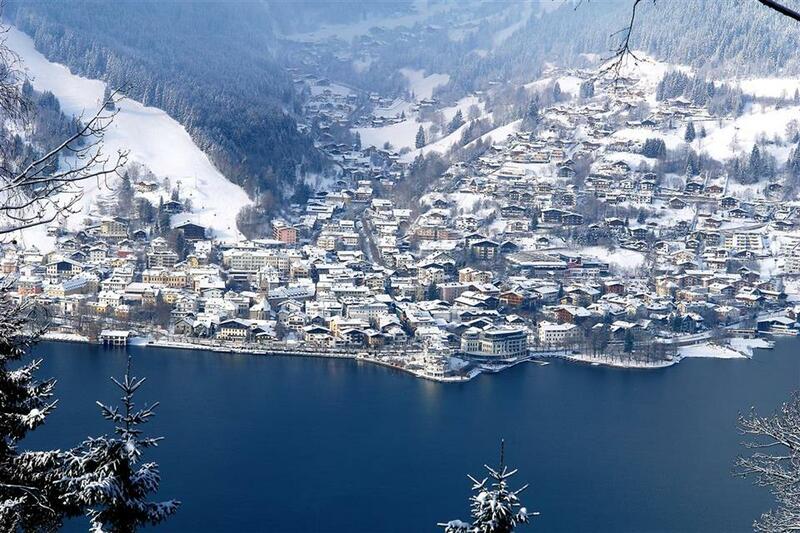 The resort of Zell am See, beautifully located by Lake Zell, at an altitude of 757 m above sea level, along with the nearby village of Kaprun, creates one of the most popular and renowned ski areas in Austria. After entering the local ski area, which is the Schmittenhöhe summit (1,965 m), it’s worth checking out the “Schmitten-Cafe” observation deck or the “Berghotel” hotel to feast your eyes upon a stunning panorama of almost thirty three-thousander peaks surrounding the locality. 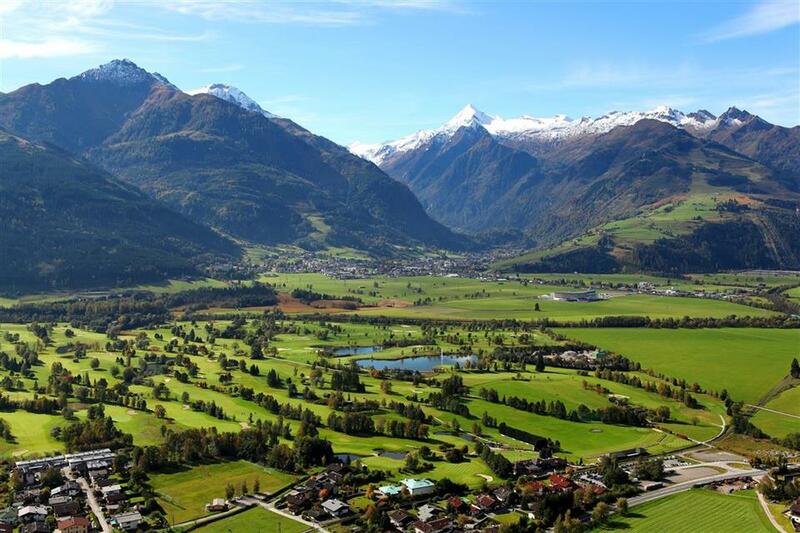 The surrounding views are considered to be the most beautiful in Austria. Thanks to very diverse runs, the ski area in Zell am See is perfectly suited for both beginners and for families with young children, freestylers and those who ski only down black routes. It’s worth trying the No. 14 black trail, going down to the TrassXpress gondola lift. Advanced skiers can get a lot of enjoyment out of it for a large part of the day. Ski lovers have a choice of 77 km of pistes. 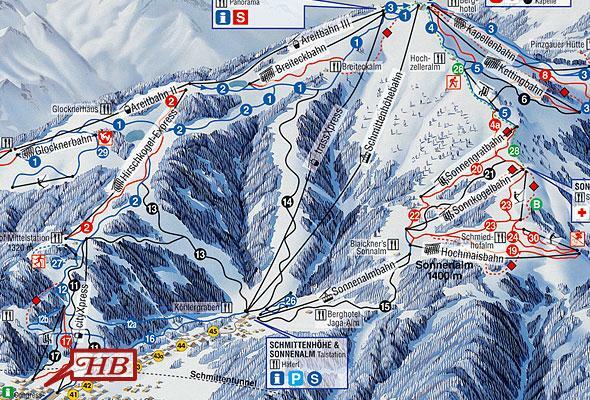 On Schmittenhohe there are numerous ski rentals and ski schools for both adults and children. Toddlers can also be safely left at the nursery or the ski kindergarten. You should steer clear of areas around routes 1 and 2 - there are usually huge crowds there because of groups of learning beginners. 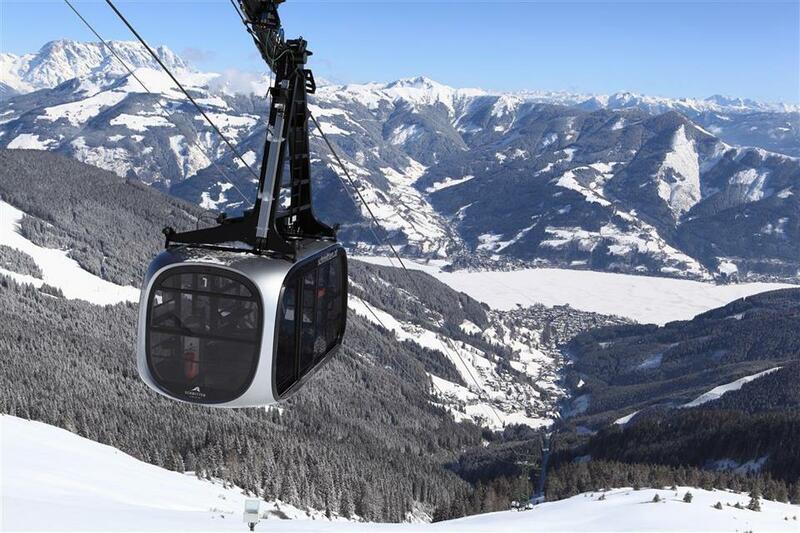 In Zell am See skiing is possible from November to mid-April, also at night down the 4-km route. 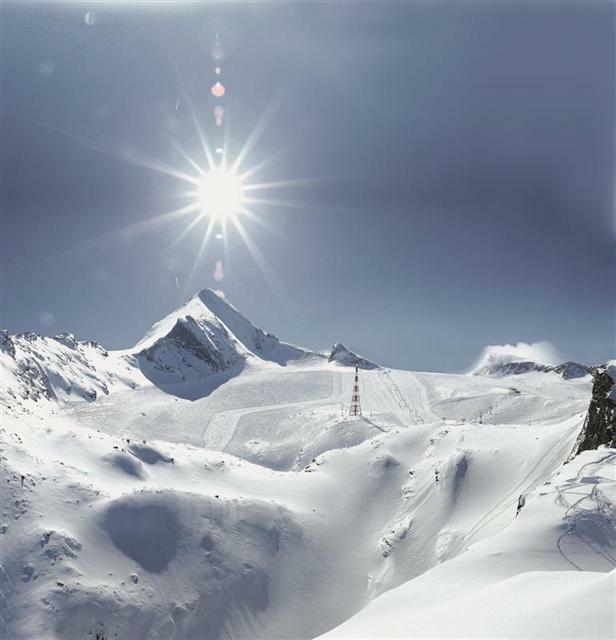 Wide, abundant in snow slopes, three snow parks (one of them is Austria’s largest superpipe with a length of 150 m) and interesting off-piste trails make Kitzsteinhorn a paradise for skiers. The natural properties of the glacier ensure that it’s snowy here all year round. 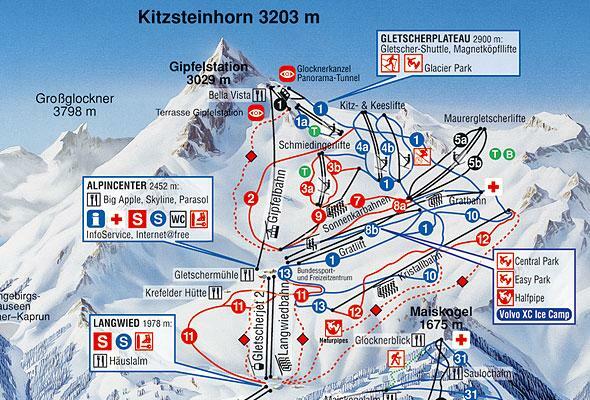 Thanks to that the ski season in Kitzsteinhorn lasts for ten months - lifts operate from mid-September to mid-July. The glacier offers skiers 22 km of blue runs, 16 km of red runs and 3 km of black trails, which amounts to a total of 41 km of perfectly prepared pistes. Recently a 1 km long black trail with the catchy name “Black Mamba” has been opened. 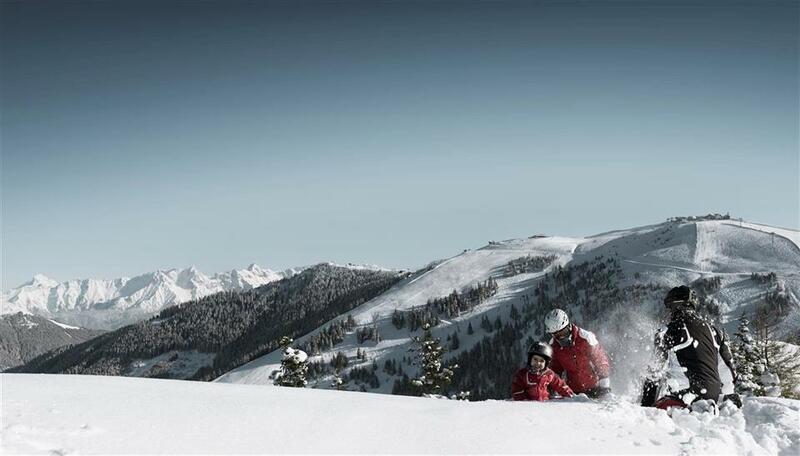 Beginners and adults spending their winter holidays with children will enjoy the second ski area in Kaprun, the family mountain of Maiskogel (1,855 m.a.s.l.). 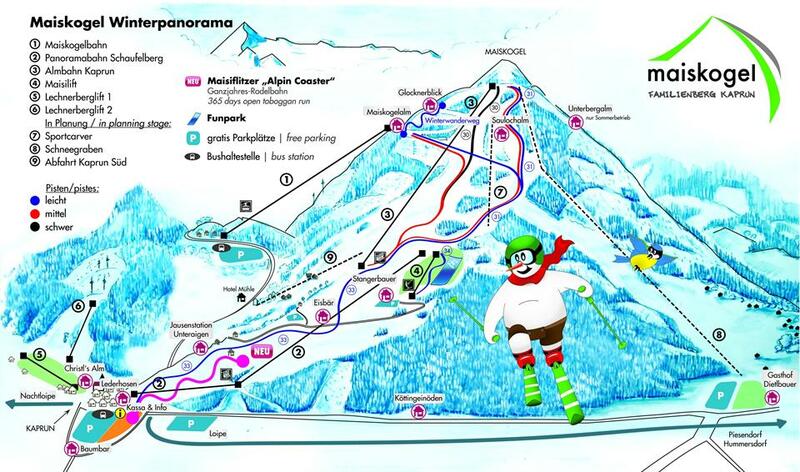 You can ski down 21 km of slopes here from early December to mid-April. 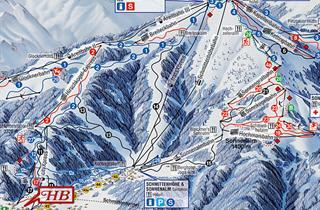 There are mainly easy blue trails, although there’s also one black ski run - all are accessible from eight lifts. 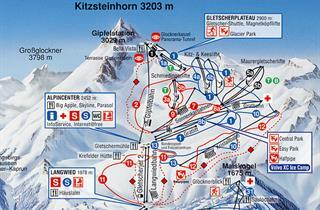 The inexpensive ski passes (valid only on Maiskogel) and a large number of parking spaces attract a lot of skiers. On Maiskogel there are ski schools for children, and the restaurants offer kids menus. 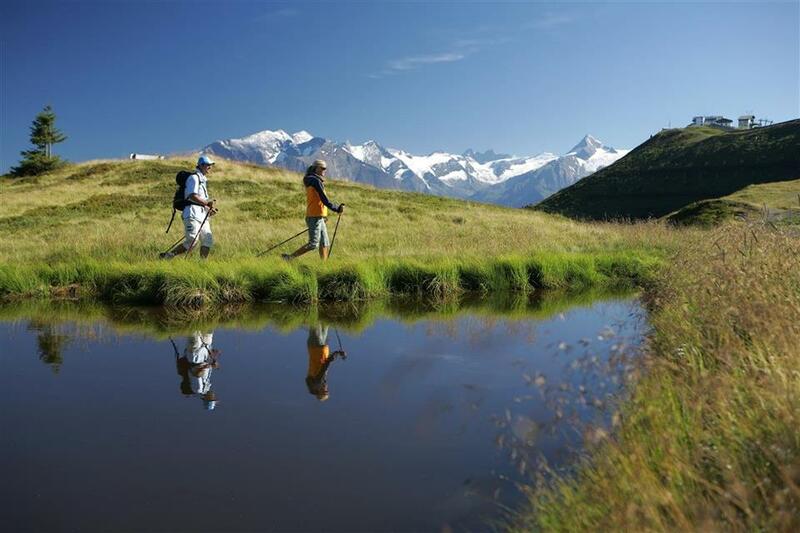 At an altitude of 2,900 m above sea level, a nearly 3-kilometer cross-country trail has been set, where - starting from autumn - cross-country skiers meet, attracted by the fame of the glacier. Although the slopes on Schmittenhoehe, the Kitzsteinhorn Glacier and Maiskogel amount to over 120 km of slopes, you can find more trails in Saalbach Hinterglemm, which is just 20 minutes away by car. 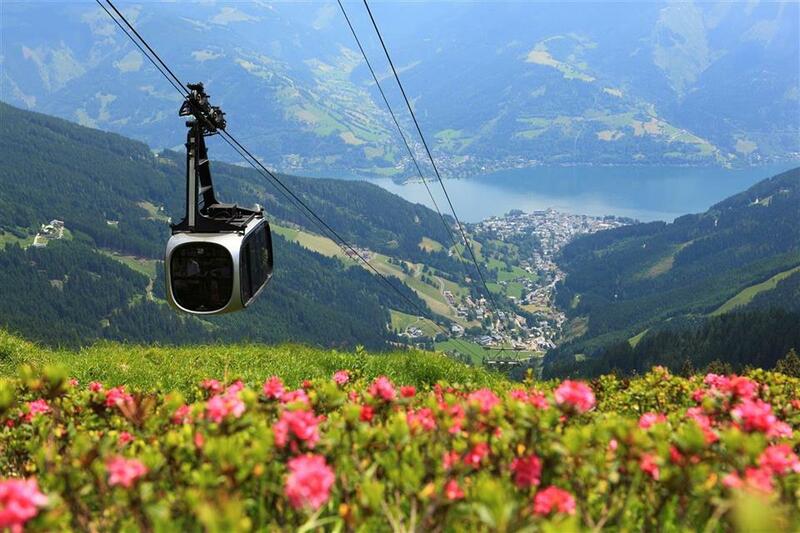 The region consists of two main towns: Zell am See, situated on a peninsula on the lake, and Kaprun, just 5 km from the glacier. 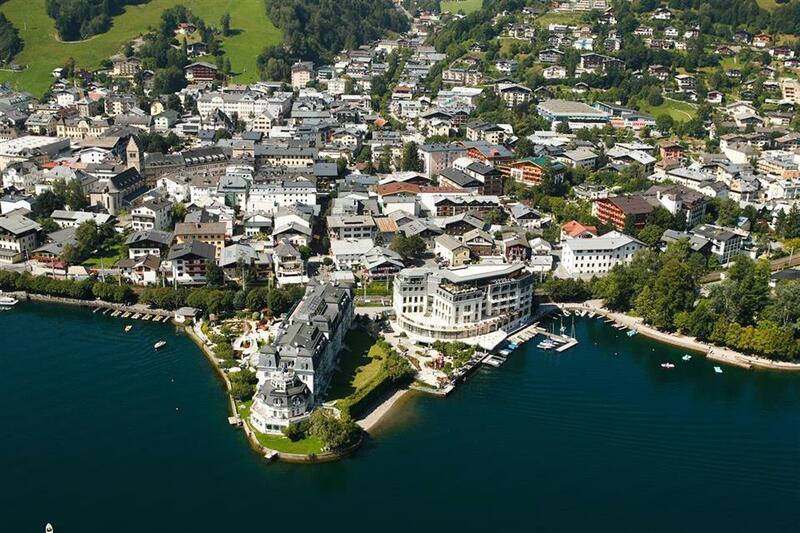 Zell am See has a typical city atmosphere, which is embodied by the very modern district of Schuettdorf. On the other hand, it also has a charming old town and a beautiful promenade by the lake. Kaprun, which is smaller, is more like a cozy, alpine resort. 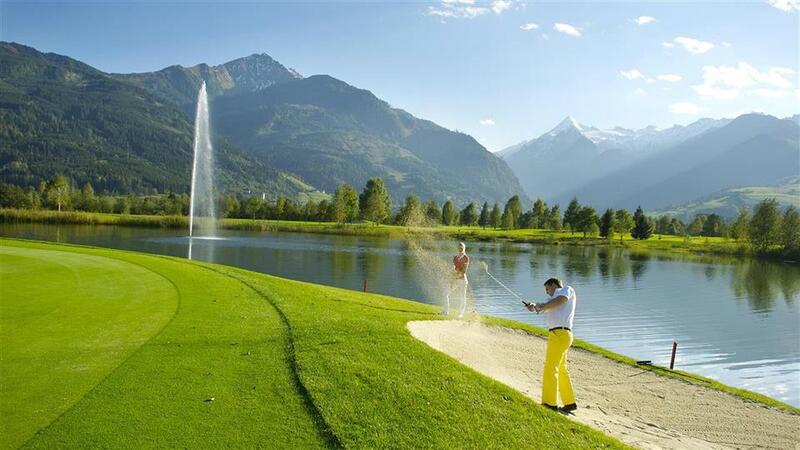 It’s worth visiting the modern spa resort in Kaprun, comparable with the hot springs in the Gastein Valley. Skiers also often stay in the villages of Piesendorf and Bruck an der Grossglocknerstrasse. Having skiied for over 30 years, in Europe and the US, we have travelled to this resort the most out of all of them, it offers us everything. We are all advanced skiiers and are always happy with the conditions on the Glacier whether it be at New Year when it is cold or Easter when it can be as hot as 26 degrees in the town. There are so many areas close by ie Zell am See, Salbaach/Hinterglem, Kitzbhuel to name a few. A great base if you want to travel. I have nothing negative to say about Kaprun. Have been to Zell am See 4 times skiing. While the snow can be a little unpredictable lower down, it does tend to be good on the upper slopes. The nightlife is excellent and restaurants plentiful offering great value. Superb for any age be you a skier or just there to chill out. Would highly recommend it as a resort for 1st couple of years but as you improve you will find that the slopes aren't challenging enough so perhaps hit the Kaprun Glacier for a few days, its only ten minutes away. Niespodzianką zresztą bardzo miłą była bardzo mała ilość narciarzy na stoku lodowca.Kilka lat temu byłem w Kaprun i były tam tłumy.O godz. 21 nikogo nie widać na ulicy w Kaprun. Mam wrażenie ,że są to skutki kryzysu w Europie. Karnety na wyciągi powinny być tańsze. Myślę ,że następnym razem wybiorę Chopok w Słowacji ,który goni Austrię i co roku przybywa tam wyciągów-trasy porównywalne, karnety tańsze. I liked the hospitaly of my gashtof wieshof, he gives fair prices for the service.. The only bad surprise we had, was that it is impossible to pay for a chek-out at night, because the boss ''just left and it is not acceptable for employee to take money''. ''only the boss have this authority''. Yes i choose again thiw resort for my family vacations. For skiers that enjoy black runs there are not many but you can still get a lot out of the holiday. You can easily do all the runs in one week. Although you can do many long blue runs onto blacks so you get a good warm up to the actuall run that you want to do. Ski-bus service is not reliable (Kaprun). It is not balanced i.e. very crowded lines/relations are serviced with small buses comparing to big buses servicing less occupied lines/relation. Break-off of the bus is making a mess because no replacement. I liked the town as there was a good athmosphere. Food in restuarants was excellent. The snow was good but a little icy at times. I would choose this resort again and would also recommend it for summer also. Easy accesible by train from Salburg(1hr). Would definitely come back again...and again. New park near the Maiskogel for the children was very good. Buses to the Kitzsteinhorn were a bit busy, but as we were always the first to get on (Trauner), then it was not a problem for us. In Kaprun the public gym is very small and expensive. If the weather is good there is a lot of things to do in summer : to ride a bike, to swim, to hike etc, but when it is raining.... There are not so much indoor activities. 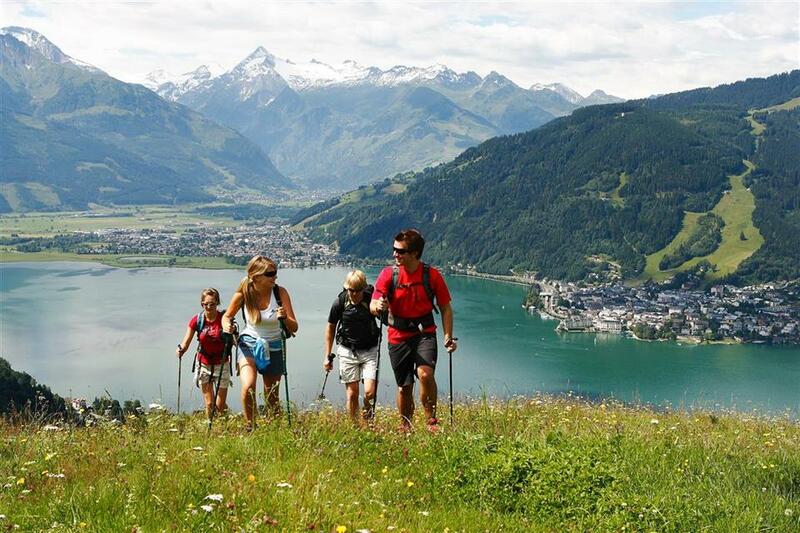 We travelled to Zell am See during a summer vacation and it has great opportunities for walking in the mountains, swimming, bicycling and lots of other activities. Or just enjoy the mountain views from a boat on the lake. The Kitzsteinhorn Glacier was great, we had lots of fun and will definately come back. Kaprun resort was rather poor in off-piste entertainment, but this wasn't what we went there for, so it didn't really bother us. This town is a little gem, we have visited this resort on and off for 25 years. The resort has everything you need not just in the winter but also summer. I cannot fault this resort we absolutely love it. I have been skiing in Zell for the past 6 years and will continue to do so in the future. Everything I need for a good skiing holiday is there. Good skiing, friendly people and a great night life. I think our comments speak for themselves, this will be the fourth time we have stayed at this hotel and have travelled to this resort on and off for the last 20 years both in summer and winter. The slopes were good. At least three good alternative to take you down to the valley. And at least two to take you to the summit. Cross country skiing was poor and dificult to reach. I love Zell-am-See. I would like to stay there longer next time, to take advantage of some other activities that are in the offer, and to enjoy the general beauty of the area. We have been to Kaprun several times. 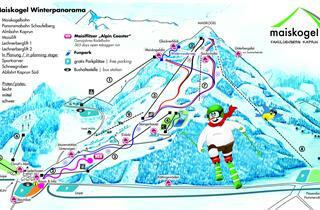 It is great for beginner/intermediate skiers and snowboarders and cross country skiing. Everything is easy to reach. A great problem for the skiing area - the absence of chairlifts on the top of the hill. Rope tows are not comfortable thing for children and begginers. Again we love this area as you are guaranteed snow because of the Glacier. The facilities up on the glacier are excellent and the food marvellous. Pobyt w listopadzie to nuda przed sezonem. Knajpy opustoszałe. W Taurenspa Kaprun trochę drogo. Ale mimo wszystko pobyt w gronie przyjaciół udany. Fantastic views from Glacier and above Zell am See, very good and efficient restaurants on mountains and very little queueing. I would suggest that visitors hire a car - taxis are very expensive and the buses end running very early - usually around 7pm. Very nice fitness, swimming pool and sauna in the town. Also very good rental and ski service. Bought my new skis there. 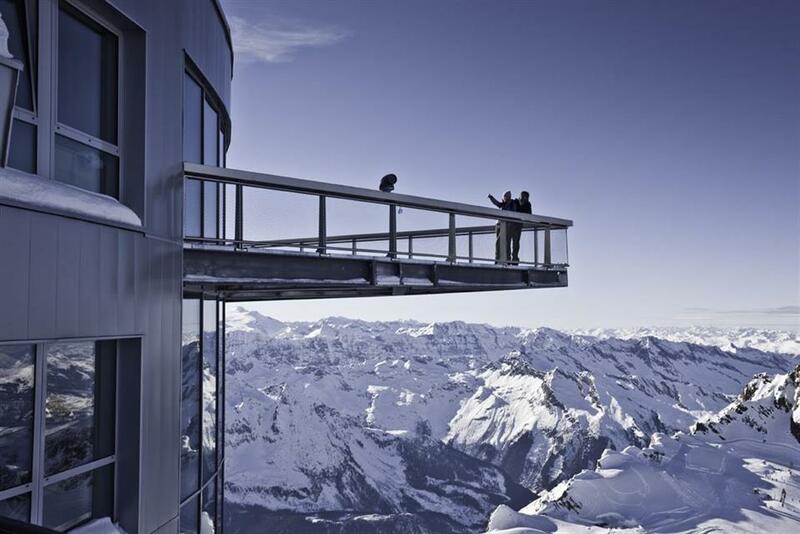 We have been visiting Kaprun/Zell-am See for many years now....and will continue to go there. We love this place. Good all round resort with easy access from Salzburg via train. Can be very expensive for eating out & drinks !!! Caprun was the best. Caprun always, Zell am See also, but not in the very sunny March. The resort was really worth the money. We really had great time as a family of 3. Yes, I would choose this resort again without question. We love Kaprun...will definitely return in the future! Rescue to be included in the ticket price ski trail. Ich komme mit Vergnuegen nochmal nach Kaprun. This is our favourite place in Austria!! Yes would go back but not at half term. We were there in August not winter.